This is the game that the Pittsburgh Steelers put a dagger in the AFC North and claimed it for their very own…big win for the Steelers. Also, the week that pushes them as the best team in the AFC and the likely Super Bowl representative (for today, we’ll see about tomorrow). The Steelers have the tiebreaker over KC if it comes down to for home field, and when Pittsburgh hosts the Patriots Week 15, I think they’re going to blow the Pats out of the water. The Steelers should win their next six in a row and go into the Patriots game 11-2, worst case 10-3, knowing that if they thump New England they will have home field for the playoffs…and would have already beaten KC and NE, for that mental edge. Unless Jacksonville goes on a huge win streak/trades for a new QB (not going to happen), the Steelers will have home field and thus have the advantage to get to the Super Bowl. Cincy is toast. Now, 2-4 and there are easily 4 more losses at least on their schedule. I suspect they'll be under .500 by season’s end…and thus pay me off for my ‘under’ win total bet on them. Cincy isn’t that bad, they just fired the O-C too late and the schedule ahead is too daunting for a radical comeback. Cincy played the Steelers tough for a while in this game, but the Steelers are just too good and wore them down and took control. This game was never really in doubt but Cincy fought back valiantly, early on. -- Maybe Cincinnati would have had a better chance to win if they started forcing Joe Mixon (7-48-0, 3-20-0/3) the ball more. The Steelers have a very good run defense, and Mixon was slashing through it every other carry…but can only do so much with 7 carries. When I bet season over/under win totals in the summer, one thing I like to have on my side when I bet the ‘under’ is a terrible head coach, and Marvin Lewis never fails to disappoint. Ceremonially starting Jeremy Hill is just like throwing away the first possession. Does he somehow think Hill is happy starting the first series and then barely ever playing the rest of the game? Like does Hill walk around proudly because he is ‘the starter’? Watching Mixon in this game, as with all previous games…wow, what movement. He’s so elusive. He needs more time reading the defenses/gaining experience but every time he gets going, Cincy pulls him for waste of time Gio Bernard or Hill. I keep assuming someday the Bengals coaches won't want to be fired, but apparently being dumb means you’re dumb in all decisions always. I don’t know when, but there will come a day when everyone will be kicking themselves in dynasty for not making a play for Mixon when he was a little down in valuation. One of the future greats who is losing his mojo/name value/rookie derangement a little more every week…when he eventually ‘hits’, there will be no reasonable deals to be had. Trade your 1st-round pick in 2018 if it isn’t expected to be a top 3 pick to get Mixon in dynasty if you can, add trinket prospects to it if needed. You’ll thank me someday. Every Cincy loss gets us closer to Mixon working with a different coaching staff. -- There’s a lot of chatter for JuJu Smith-Schuster (2-37-1/3) to ‘pop’ with Martavis Bryant suspended, soon to be gone…to go hang out with Dorial Green-Beckham and Justin Blackmon. Bryant wasn’t getting many targets as it was so transferring half of them to JSS isn’t anything wonderful. I like JSS. He’s a reasonable Week 8 flex play, but I don’t see enough targets today to sustain him for fantasy. -- You know who might benefit from all this Bryant stuff? You know who might become fantasy-viable soon…Vance McDonald (2-37-0/3). He looks so good in the passing game for Ben, especially his work after the catch. VMD had a short TD in his hands but the back door throw from short range, he couldn’t adjust to the back shoulder-ish throw quick enough to get a full grasp on the ball for the score. It was close. 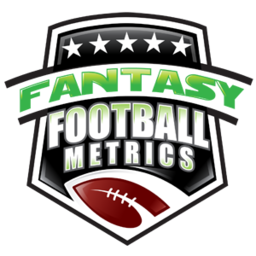 Jesse James has no targets the past two weeks but VMD has 2 and 3…McDonald is creeping up and is about to do a sneak attack for mild FF-relevance any week now. How relevant? Maybe a TE fill-in on a BYE type of guy to start with the hope it gets bigger. He’s a weapon for Ben, a mismatch nightmare once he has the ball. This McDonald trade/deal is going to be much ballyhooed in a few weeks. -- Speaking of great trades and the Steelers going to the Super Bowl…Joe Haden shut down A.J. Green (3-41-0/6). Amazing what happens when players leave Cleveland… Hue Jackson is an awesome coach though. One win in his last 27 games…he’s really changing the culture there. -- It’s getting to the point where you should just assume Tyler Kroft (4-23-1/4) is Tyler Eifert, for production projections. In his last three games/starts for Eifert: 4.7 catches, 43.0 yards, 1.0 TDs per game. Kroft is a TE1 for the ROS, as I’ve said for a couple of weeks now (after first dismissing him in Week 3). I learned/adjusted properly. -- Andy Dalton (17-30 for 140 yards, 2 TD/2 INT) has weak numbers the last two games but has also faced two of the best defenses in the NFL – PIT and BUF…and posted 3 TD/4 INTs. Before that, after the O-C change, Dalton planted 6 TD/0 INTs on CLE and GB. This week against Indy is like his CLE-GB games, not the PIT-BUF ones. I think you can trust Dalton a lot this Week 8. And again Week 10 (TEN) and again Week 12 (CLE). -- Longshot WR play ahead, maybe…Bengals rookie John Ross should be coming back Week 8-9 and should see some targeting for this offense that needs playmakers. Cincy tried to get him involved every time he got healthy this season, back to the preseason…which he was rarely healthy.